Tennessee School for the Deaf, Nashville, Tennessee (TSDN) provides a welcoming, language rich learning environment for deaf and hard of hearing children in Middle TN. TSDN began its inaugural year in August 2018 serving preschool through second grade students. TSDN values the importance of early education that is essential to literacy and school success. Students at TSDN are supported in both language acquisition and fluency, as well as learning to read at an age-appropriate level. Grade levels will be added each year as the children grow and as needed to service Middle TN deaf and hard of hearing students. TSDN shares the campus with the Tennessee School for the Blind (TSB). TSDN in collaboration with TSB ensures the needs of the whole child is addressed through shared resources, such as the playground, gym, cafeteria services, and the clinic. TSDN will be offering a Toddler Learning Class in the fall of 2019. TSD's Upper School is hosting an art exhibition and fundraiser! Join us for the opening reception and gallery showings. 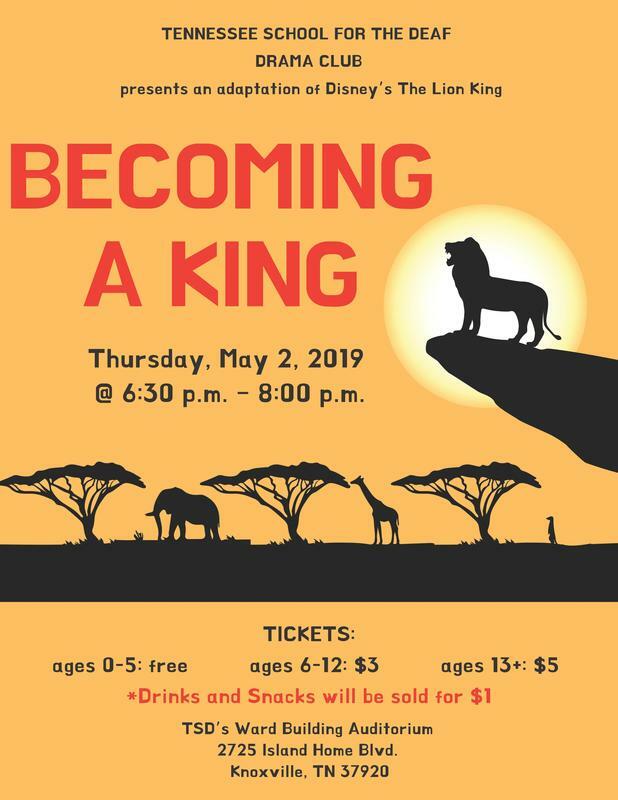 Join us on Thursday, May 2nd, 2019 at 6:30pm in TSD's Ward Building Auditorium. 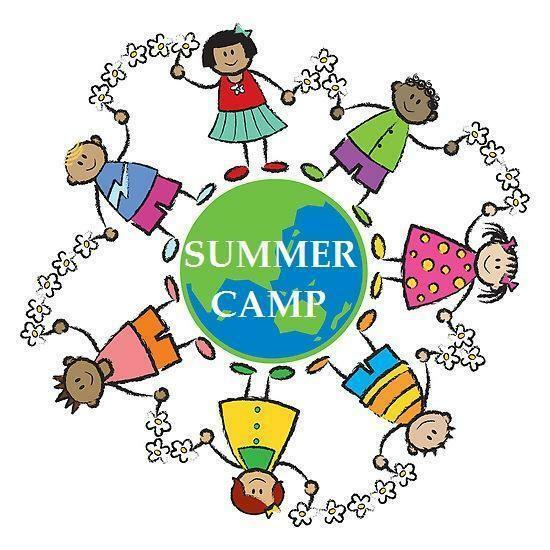 2019 TSD Summer Camps are now open for registration! 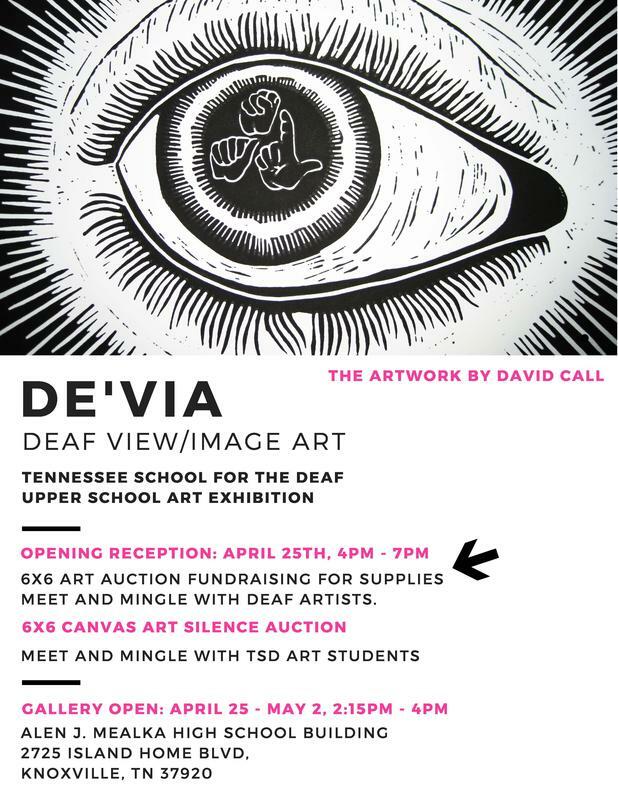 The Tennessee School for the Deaf will host three camps this summer for Deaf/hard of hearing students from TSD and other programs throughout the State of Tennessee. The camps are recreational in nature and offer a unique opportunity for students to share adventures while developing friendships, leadership skills, and self-esteem. To register, please fill out the application here: http://www.tsdeaf.org/apps/form/form.TENSFTD.rnTYX7y.pY For any other questions, contact Marty Marine via email at m.marine@tsdeaf.org. Family Learning Weekend and Family Learning Day events are now open for registration! These events are scheduled across the state and will occur between May and July. We hope you will make the Family Learning Events part of your family plans this summer!